A perceptual phenomenon in which there's an involuntary crossover of the senses. Hearing color, seeing sound, touching the light of memory. 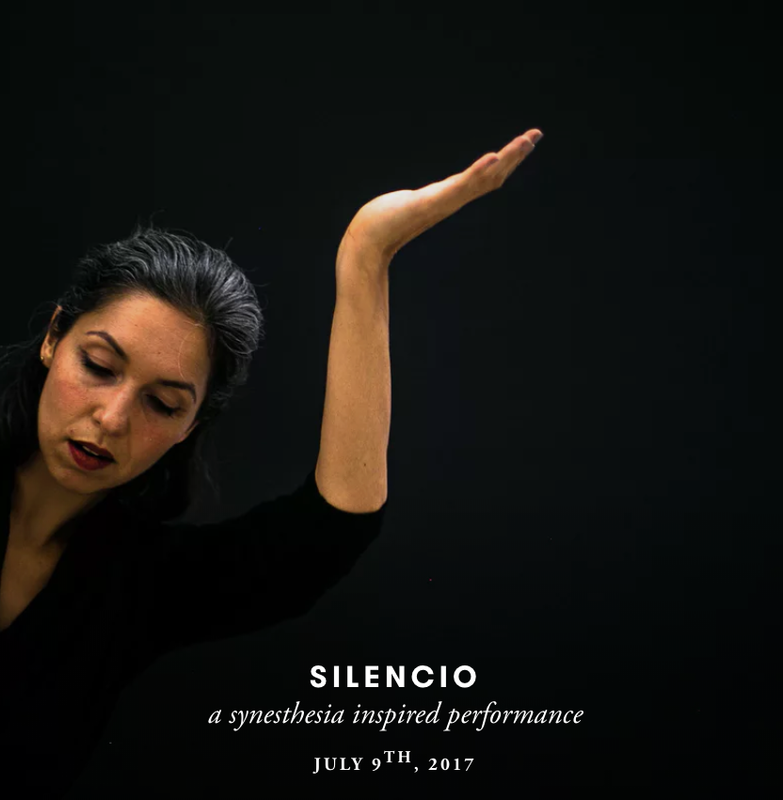 SILENCIO, a synesthesia inspired performance. A creative dialogue between a cello, a dancer and a video artist. A conversation with colors, forms, textures, space and the memory embedded in each of the art pieces. Performance by Mar Sierra. Photography and video by Mar Aldao from Republic of Light. Cello by Natalia Pérez. Curation by Esteban King at Galería El Cuarto de Máquinas, Colonia Roma, México DF. In benefit of ArtePro, organization helping vulnerable kids through art mindfulness education. Click link below to see full photo story of the performance.